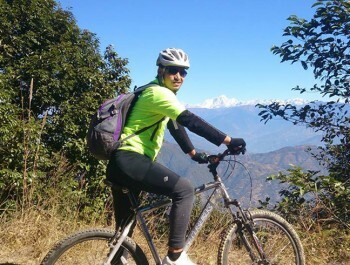 Nagarkot Biking Tour starts After an early breakfast in the morning from Kathmandu, we head to the east of the medieval city of Bhaktapur. Bhaktapur is an ancient town, full of Newari art and cultural heritage. There are many temples, palaces and squares here for you to explore. From there we headed northeast to Nagarkot on an excellent paved road and quiet. We climb gradually uphill to Nagarkot 20 km on the rim of the valley, passing farmland and high terraces of houses that seem to be clinging to the hillside. 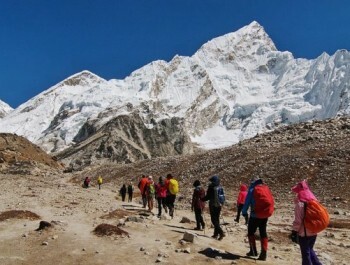 When we reach the summit, we will be rewarded with panoramic views of the snowy peaks of the Himalayas, including a distant pyramid of Mount Everest. (Depending on weather conditions). We stay in a beautiful guest house on the ridge. The day begins with an exciting descent on single track. We crossed many rustic villages, with views of the mountain we read! We reach the ancient Hindu temple complex Changu Narayan where beautiful stone carvings dating from the 6th and 7th centuries, made by Newari craftsmen of the day, can be found. Hence, we continue to go down to Bhaktapur where we stop for lunch. We then return to Kathmandu by the old road ends at the medieval town of Thimi, famous for its traditional masks and earthenware. 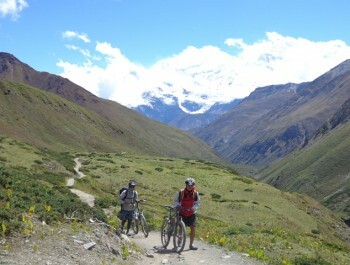 This mountain biking program is better for after trekking. Day 01:Arrive in Kathmandu and transfer to the hotel in Thamel. 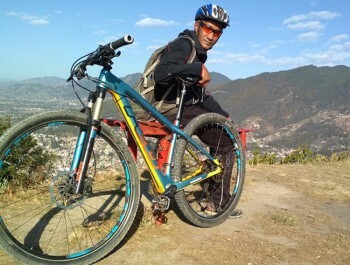 Sightseeing around Thamel and nearby places for rest of the day. In the evening have brief introduction about the trip, have dinner and stay overnight at hotel in Thamel, Kathmandu. 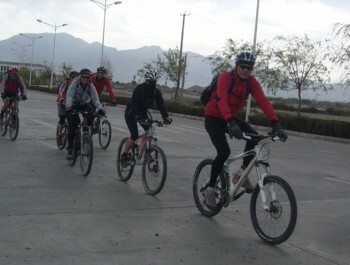 After an early morning breakfast, we start biking to the east towards Bhaktapur city, an ancient city with full of Newari culture. Exploring many temples in Bhatkapur Durbar Square we gradually climb approx 20km to Nagarkot. We pass around the valley rim, following terraced farmland and houses that seem to be clinging to the hillside. Nagarkot is famous hill station near Kathmandu which offers great sunrise, sunset views along with astounding scenery of beautiful mountain range. Stay overnight at hotel in Nagarkot. Early in the morning we go the Nagarkot view point for Sunrise view. After panoramic sunrise view, we take our breakfast and our adventure bike ride starts with an exciting descent on Jeep tracks. 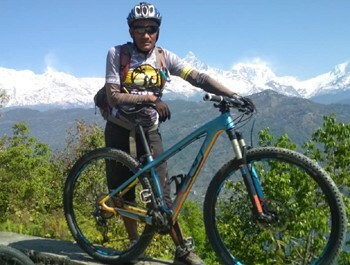 We pass through many villages and reach at the beautiful ancient village of Shanku, passing through the town we follow tarmac road towards Boudhanath Stupa, here we will have lunch and then ride back to Kathmandu or ride towards Budhanilkantha also known as sleeping Vishnu temple and then finally to our hotel in Thamel.